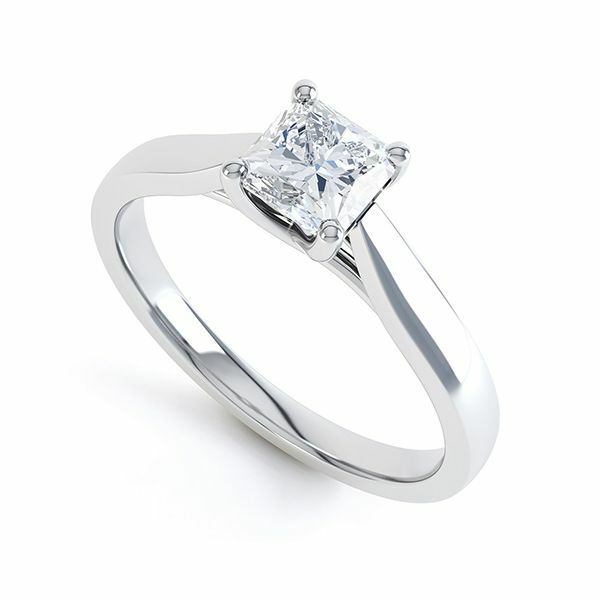 four claw 'Lucida' style setting radiant cut diamond engagement ring. 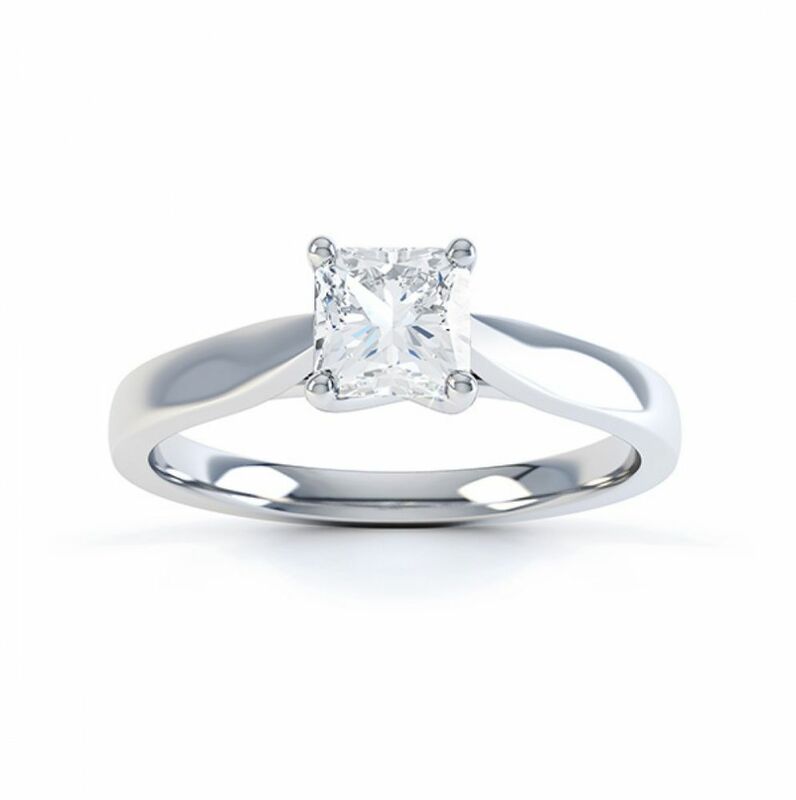 An exquisite 0.25ct Radiant cut Diamond is suspended above a lucida style setting, with elegant, tapering shoulders and a Court Profile ring. 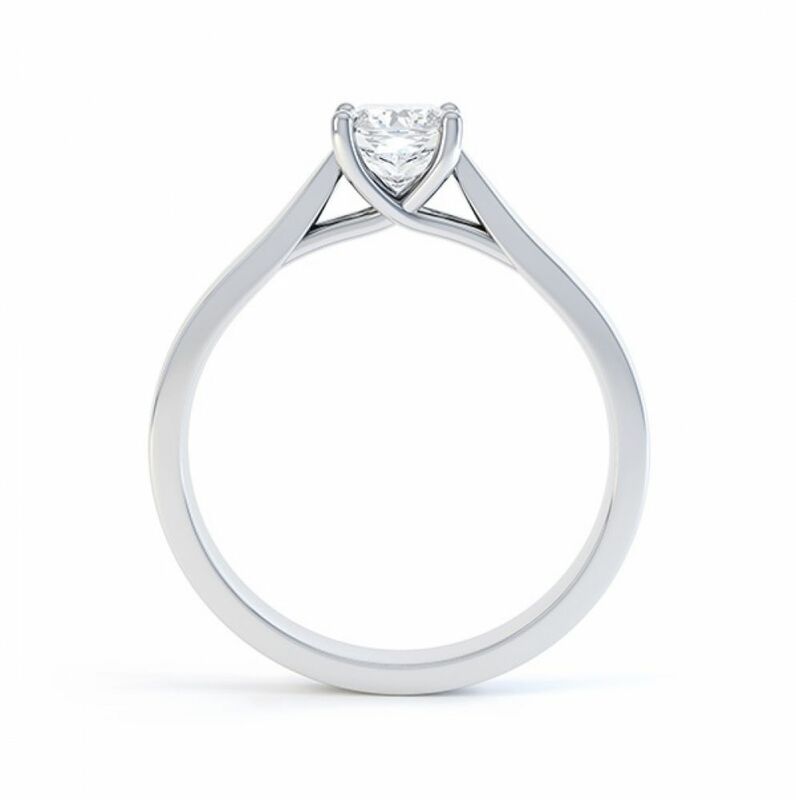 Created is 950 Palladium, this graceful ring design in a size M compliments the Radiant cut Diamond which is approximately 3.9mm and has been graded H colour and SI2 Clarity prior to setting. Delivered straight to your door by a trusted courier, and in our bespoke luxury packaging, your ring can be with you for Next Day Delivery (UK only), and within a few days internationally.